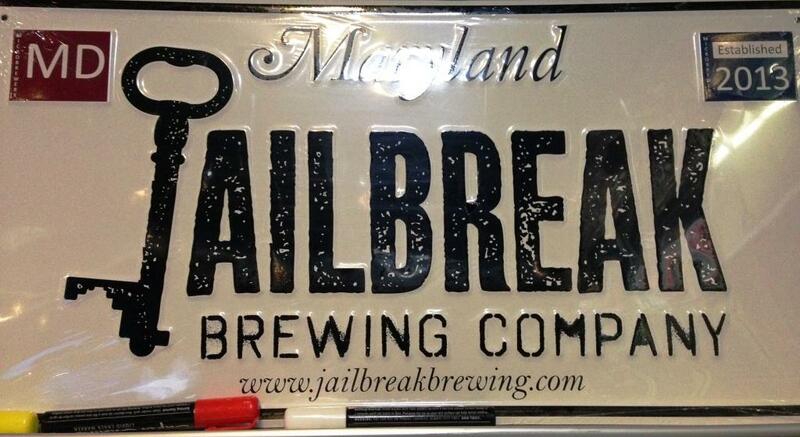 A friend asked me recently if I had tried the beer from Jailbreak Brewing Company, a fairly new Maryland brewery just 20 miles away from home. 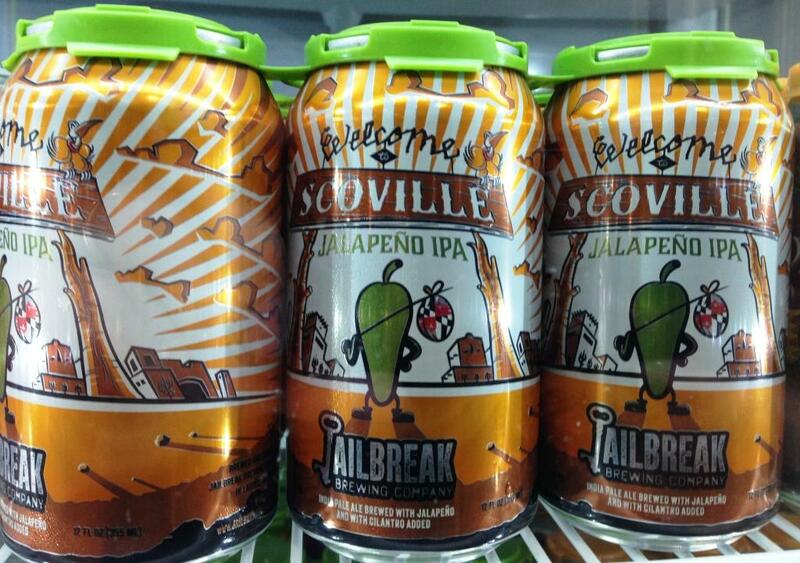 Jailbreak wasn’t even on my beer radar screen at the time, but you can bet it is now. 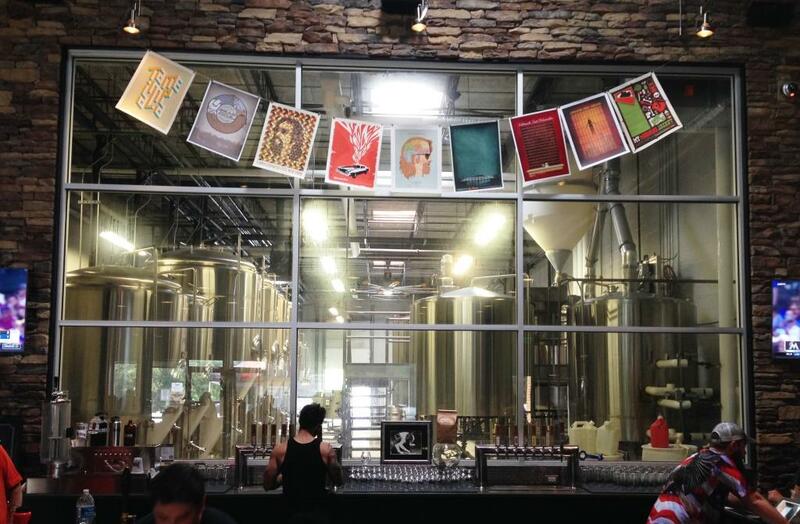 As soon as I took a look at the beer line-up on their website, I made plans to visit the brewery — what a crazy line-up of unique and interesting brews! Occasion: The long 4th of July weekend gave me the chance to catch-up with old beer-loving friends, so we decided to meet at Jailbreak. 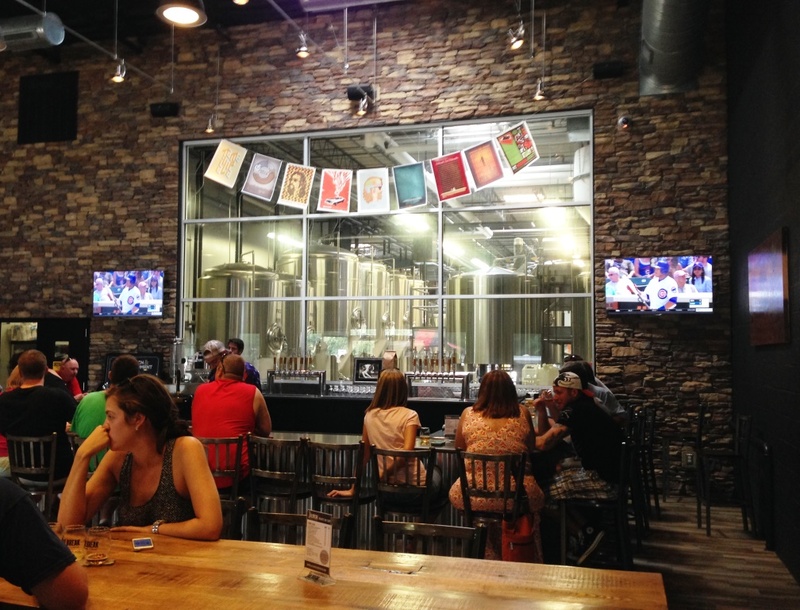 We arrived at the tasting room as soon as they opened and are glad we did, because the place was soon packed. 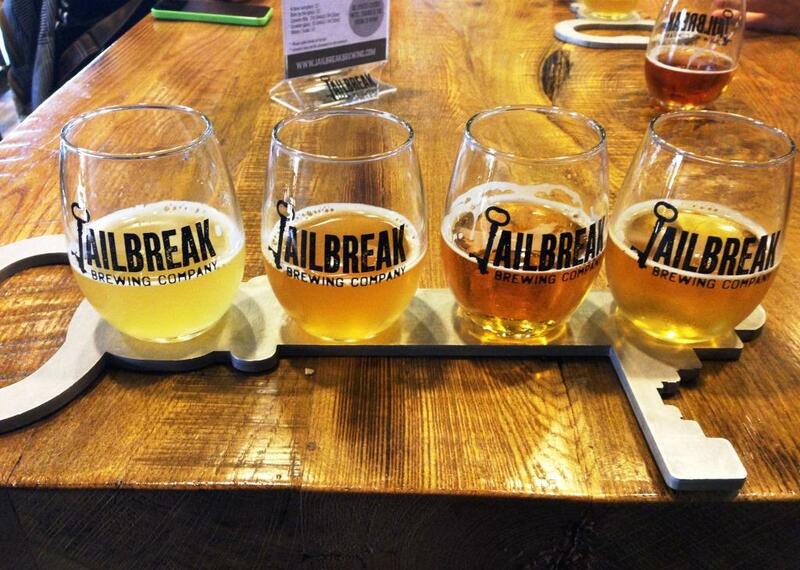 Jailbreak offers 4-beer flights, and between 2 flights and 2 tasters, I sampled all 10 beers on tap. Damn these beers were delicious! It would be impossible to pick a favorite, but I went home with a growler of refreshing B.Limey and a 6-pack of cans of smooth Infinite. 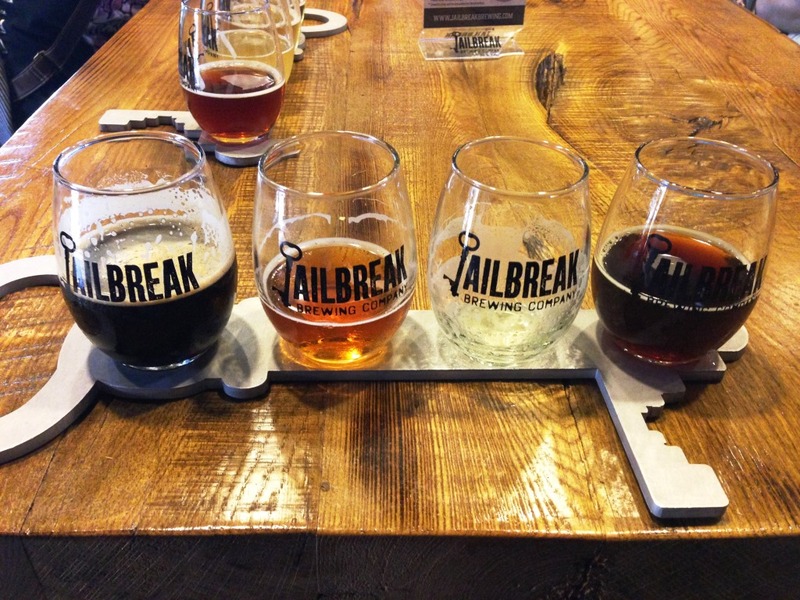 After enjoying Jailbreak’s summer line-up, I’m so curious about their colder-weather brews, and I’ve already made plans with my friends to meet at Jailbreak again in the fall. Won’t be surprised if I’m back before then though. 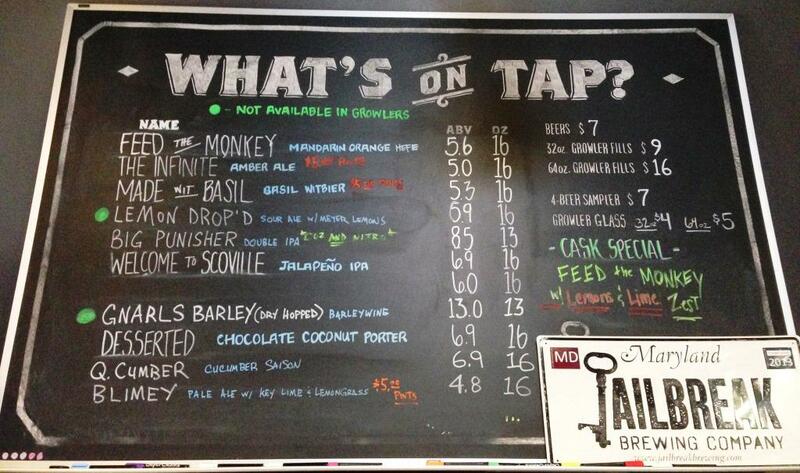 I’m happy to have a new awesome brewery in my backyard and proud as a native Marylander of the unique new beer being brewed in my home state!